This cuddly family of mom and baby koalas is a great soft toy for babies! 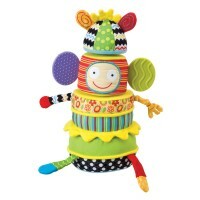 This adorable soft koala toy by Lamaze will certainly bring smiles on your baby's face, and on your own, too! 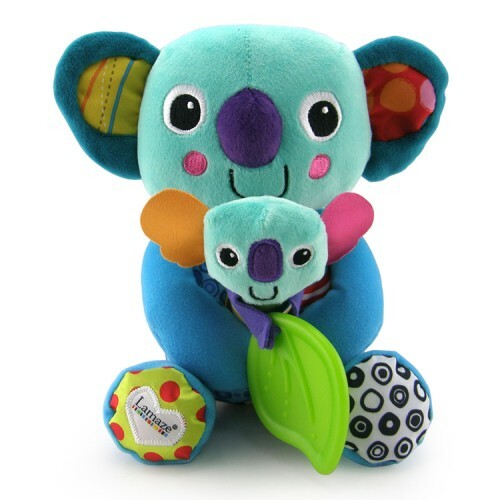 Lamaze Cuddle and Squeak Koalas Baby Soft Toy Set features a toy koala mom and her little baby. 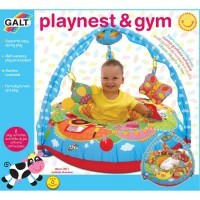 This soft baby activity set from Educational Toys Planet, with its bright colors, various textures, satin ribbons, and extra features, brings a unique twist to the classic baby put-in & take-out play. 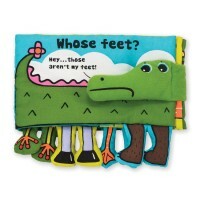 Infants will love to take the baby koala out of his mom's tummy pocket, and put him back in again and again! 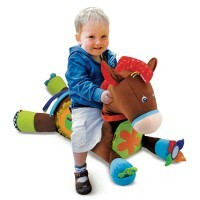 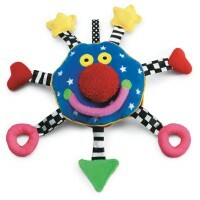 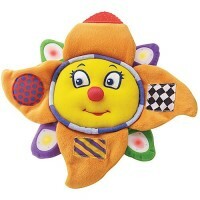 Made of high quality polyester, this sturdy baby toy is a great senses exploration plaything. 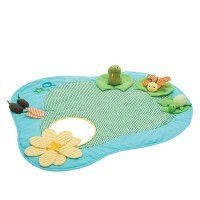 The removable toy baby koala squeaks and includes a leaf teether. 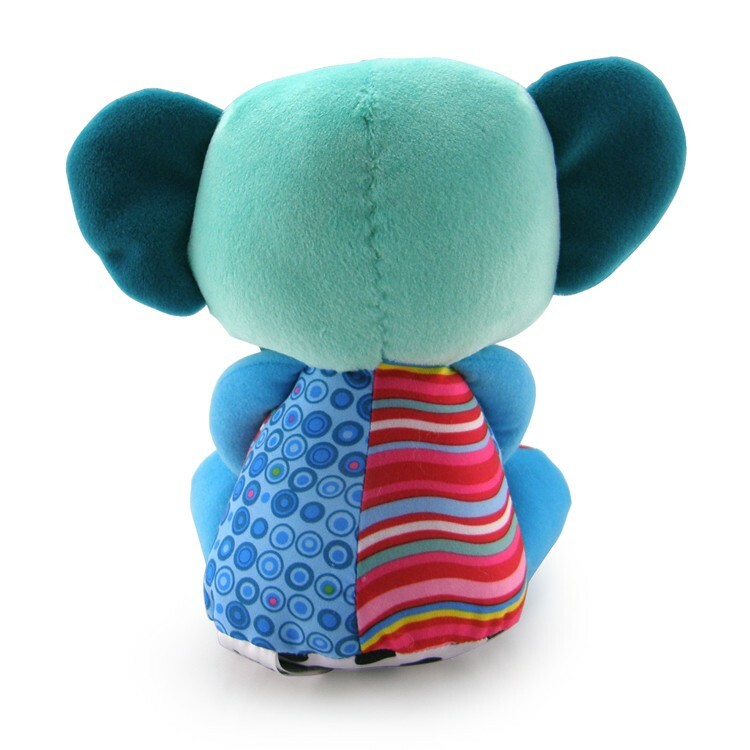 The koala mother features crinkly ears and feet to promote cognitive development. 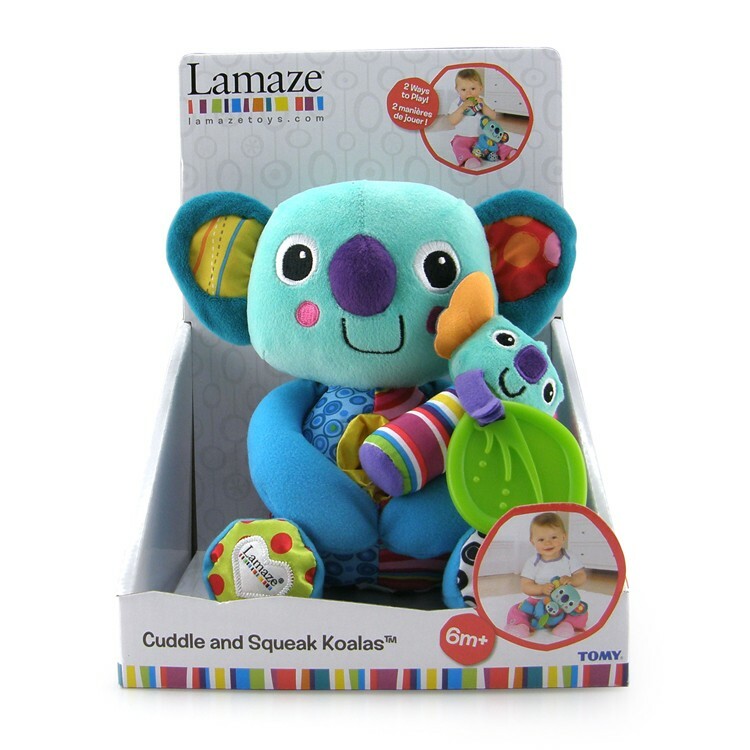 Lamaze Cuddle and Squeak Koalas Baby Soft Toy Set is one of the favorite gifts for a baby shower or a newborn welcoming gift. 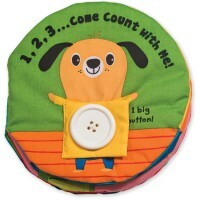 Dimensions of package 0.08" x 0.06" x 0.11"
Write your own review of Lamaze Cuddle and Squeak Koalas Baby Soft Toy Set.